The connection between entrepreneurship and philanthropy makes news these days as highly successful tech entrepreneurs engage in high-profile, ambitious philanthropic activities. Consider the bold goals of the Chan Zuckerberg Initiative, LLC aimed at enhancing early literacy in children with reading challenges, or the global reach of the Bill & Melinda Gates Foundation tackling persistent world health challenges. For many legacy foundations that have been operating for decades, the beliefs and values of the founders remain key to their identity, although that intent may be reinterpreted through a twenty-first century lens to ensure ongoing relevance and effectiveness. Being true to the fundamentals of donor intent, the practices of many of these longstanding foundations continue to reflect the mindset of the entrepreneur-turned-philanthropist. A prime example of an ever-evolving legacy foundation is the Burton D. Morgan Foundation, which celebrated its 50th Anniversary in 2017. Morgan Foundation is the brainchild of Burt Morgan (1916-2003) who made his fortune primarily in the adhesives industry and established the foundation in recognition of the fact that America’s free enterprise system had created fertile ground for his ventures. He was an early promoter of entrepreneurship education on college campuses, an educational opportunity that had eluded him in his formative years. Through his vision to make entrepreneurship education a more prominent offering on college campuses, he established one of the nation’s first business plan competitions in 1987 at his alma mater, Purdue University, still a popular event on campus. Fast-forward to 2019, Morgan Foundation has evolved to serve as a champion of the entrepreneurial spirit, contributing to a robust entrepreneurial ecosystem in Northeast Ohio and serving as a leader in the field of entrepreneurship education. The Foundation pursues its mission through grantmaking in support of youth, collegiate, and adult entrepreneurship; regional ecosystem building to provide strong networks for startups and scaleups; and knowledge sharing bolstered by its research arm, the Entrepreneurship Education Experiment. Morgan Foundation thinks expansively about its philanthropic role working every day to connect people, resources, and knowledge to spark innovation and entrepreneurship. The foundation’s grantmaking provides the onramp to facilitate engagement and collaboration with grantees and other partners, weaving dynamic ecosystem components into a teeming whole. The foundation emphasizes the pathways that form the interstices among programs. These spaces are where we believe significant traction occurs, and our expertise can play a dramatic role in making good things happen for our entrepreneurial community. Since 2017, Morgan Foundation has joined close to 40 entrepreneurship funders from across the United States to form the Entrepreneurship Funders Network, a group seeking to better understand the field of entrepreneurship funding and to develop a common language around their funding and the needs of the field. Ecosystem building is explicitly a cornerstone of that conversation, and philanthropy is widely recognized as playing a critical role in seeding a healthy startup community. 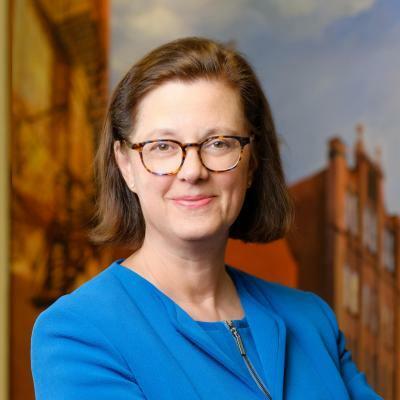 Simultaneously, the Ewing Marion Kauffman Foundation has launched an effort to develop the field of ecosystem building as a recognized profession that draws from diverse backgrounds and fields. Kauffman is even creating a playbook that captures the values and strategies that can drive the creation and growth of ecosystems through the dedicated efforts of individuals with vision and hope for their communities. It is becoming abundantly clear that philanthropy can and should play a significant role above and beyond traditional grantmaking. With the influence and knowledge housed in foundations, these entities can have a tremendous impact on the direction communities take to build robust networks in support of entrepreneurial activity. Foundations can model entrepreneurial behavior through the funding of experiments in curricular and co-curricular entrepreneurship education on college campuses and in K-12 educational settings. Foundations can embrace the evolution of experimental programs and reward the learning that flows from pivots along the way, and through this approach build the adaptive capacity of the programs and institutions they fund. The knowledge garnered from experimental initiatives can be shared broadly to amplify the impact of the experiments and the resultant lessons. Over time, philanthropy can develop a bird’s-eye view of ecosystem components and become a promoter of the strategic pathways that connect one critical opportunity to the next and the next. Philanthropy and entrepreneurship can indeed be awe-inspiring partners, literally changing the trajectory of entrepreneurs with big ideas and the ecosystems that support them. 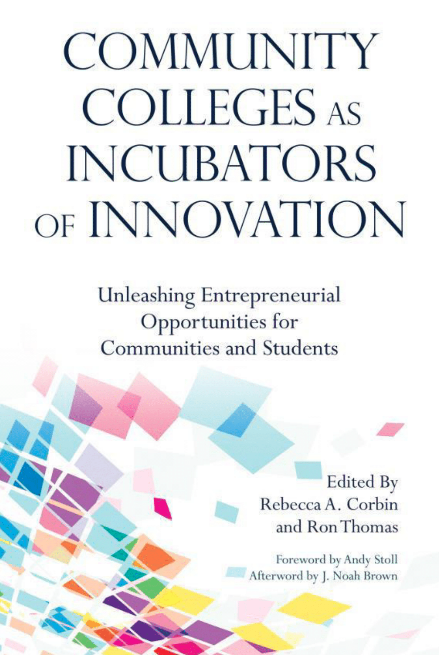 To learn more, read NACCE’s new book, Community Colleges as Incubators of Innovation. Connect with Deborah through email or on Twitter @DeborahHoover.